We will be making this cute cuddly owl.’ Hoot ‘ Hoot will be perfectly happy perched on your bed. Ages 9-13 Register now at Tamara’s Studio We have limited spots! These are the last of the skirts from our new seamstresses. The girls have gained many many lifetime skills in just a few short weeks. The finished products look great and can’t wait to see the girls move on to the next project. The Stitching and Fun Times Never End! The sewing class has finished another big project at A Stitch in Time with Tamara’s Studio! The skirts have turned out great and just in time for the warm weather we are having now. During this latest project, the girls learned how to use elastic and add buttons with tabs. 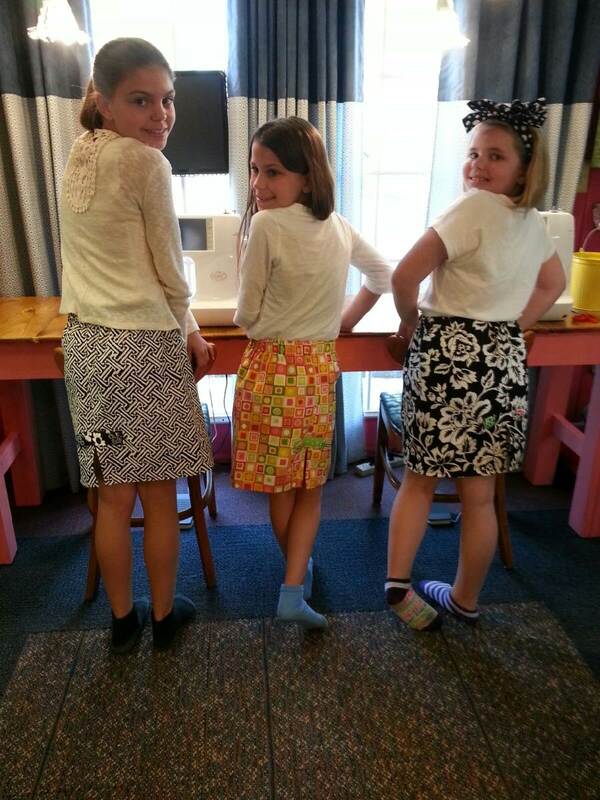 The girls had so much fun making the skirts and modeling the final products. Many of the girls are continuing on to the next set of classes but we still have a few seats open if you have a child interested.